Anti-bat Netting Preserves Crop and Ecosystem. Getting Rid of Bats and Preserving Ecosystem. The mesh anti bat does not harm neither the environment nor the animals. Anti-bat netting protects fields without putting the environment in danger. Bats feed insects and bugs, and they are an important part of the ecosystem. They give the necessary assistance in the pollination of many plants. A variety of insects’ pests is on the bats’ daily menu. It is of utmost importance to apply only safe and non-toxic solutions to get rid of them. They are also human-friendly. We can find them in all the places where people live. 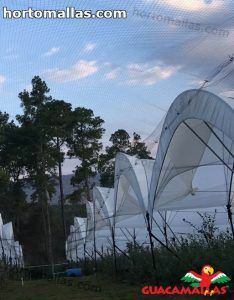 To prevent bats of settling in your crops, you have to apply anti-bat netting at the end of winter, the best in February or March before the bats breeding season. Bats are especially active during summer months but at that time, it is far too late to carry out the bat control that guarantees the safety of your crops all the way to the harvest. Plan the protection on time, identify the bat entrances, and seal them permanently after they have left the nest for feeding. 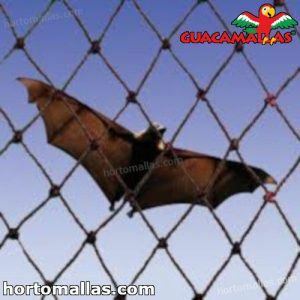 Throw special attention that no bat has been left inside the crop since it may cause a more serious problem. Full Protection from Bats and Birds. This type of network provides lasting and economic protection. 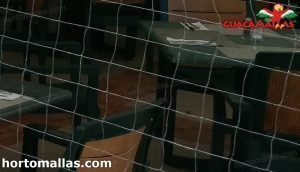 Bird netting may also be used for anti-bat protection. It is possible that bats manage to get out but they will not be able to return. 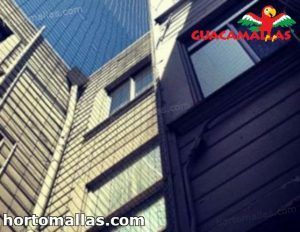 It is an economical solution since the net can be stretched out over the large surfaces. It takes an effect immediately. Bright lights, noise, and cool air are no longer used to keep the distance between bats and your crop. They are also unpleasant for humans and pets. Such behavior jeopardizes the growing conditions of the plants and it can harm bats. Remember that they might be also legally protected in your area. 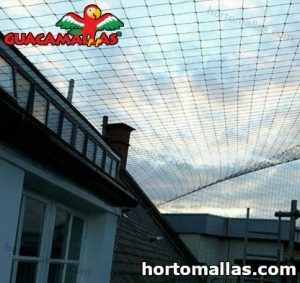 Anti-bird netting has a worldwide implementation that offers long-lasting protection from birds and bats at the same time. 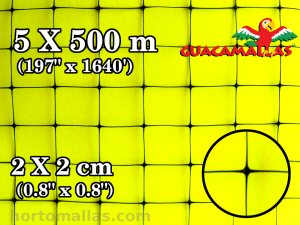 The net has to fit the area it will protect, and it is equally efficient over small and large areas. Bats might be of a different kind. It is important to know what bat type you are struggling against. If the holes are not of the proper size, bats can wiggle through. You better chose small holed netting that will also prevent pests from pecking fruits. In this way, your plants will be fully protected from the primary and secondary damage. Using this network will prevent any type of threat from invading and destroying. Fruit trees, berries, and vegetable crops are mostly endangered by the attacks of birds and bats. The damage can be sometimes devastating, and it can seriously decrease your profit. If the farm or garden is not properly protected, birds and bats have an easy access, especially during the night. Cultivating demands a lot of effort! To preserve the control over the orchard or other crops you need to think about the protection on time. 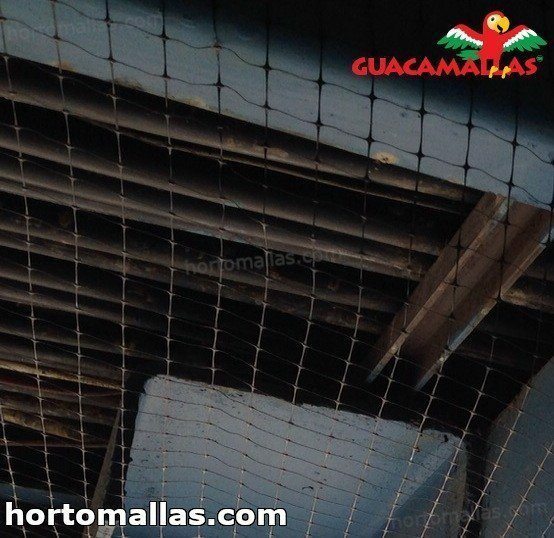 Anti-bat netting is not a luxury! It is a standard we follow in order to provide the best growing conditions for our plants, without doing any harm to bats.The risk of the economic loss has been reduced to a minimum and the structure of fruits has been preserved. Months of your hard and carefully planned work will pay off. Look how your fruits ripe and enjoy the fact that espaliers or macro tunnels are protected. You can concentrate on final delivery arrangements knowing that you did the right thing by investing in anti-bat netting. Reduces economic expenses that require other protection methods using the anti-bats net. Cultivating is a commercial business. The sustainability of it can be guaranteed only by careful and long-term planning. As soon as you start to plant think about how to protect the crop in the right way. You will spend days in the garden taking a good care of your crop but what would happen in the night? Bats are natural enemies of your crop, especially at night when you cannot control them. In the morning, your crop might be ruined, and this could have been prevented by applying of anti-bat netting. This is a top quality technique that does not include the application of any poisonous substances. Responsible farmers would never apply volatile poisons for crop protection. These agents would not only kill bats, the important participants in the ecosystem, they can also infect humans or pets by accident. In some places, bats are protected species, and harming them is a legal issue with serious consequences. Anti-bat netting is the preventive method that will help you avoid all unwanted situations considering your fruit farm or garden. It will also never put on risk your family or yourself. Your farm will be protected 24/7 and you can sleep peacefully knowing that you did everything to enable secure ripening of the fruits. With this method there will be no need to use pesticides that can be harmful to animals and humans. Bats are necessary for pollination of plants and reduction of insects’ pests. Pesticides and poisons are not the right solutions to get rid of them or to protect the crop either. Trying to catch them is even more dangerous since they bite and they might transfer rabies. Prevent the damage on time with the small investment that will certainly pay off sooner than you think. Cures are expensive and the stress after your crop has been damaged is devastating. You do not need the situation when you are desperately trying to save what can be saved, especially if you could have prevented it. You do not grow the crop to feed the bats and birds, and you will not allow them to contaminate the fruits with different microorganisms. If you haven’t noticed that they pecked the fruits, you risk putting contaminated food on the table. Bats and birds will be always attracted to your garden and juicy fruits. They are irritating but you certainly do not want to harm them or to derange the ecosystem in your surroundings. 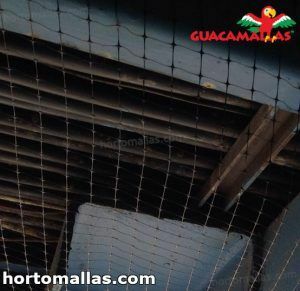 Anti-bat netting is the most sophisticated way to prevent bats to settle in your fruits or to damage them during their nocturnal life.